CNN correspondent Jim Sciutto made his name becoming a more than successful man, but he simply didn't let his pride conquer his love for his lovely family of five. 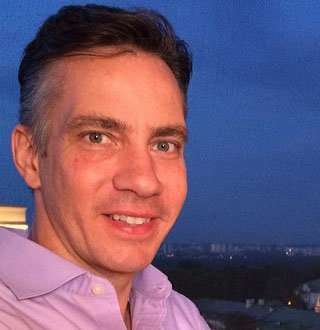 Jim Sciutto is best known for his position as Chief National Security Correspondent for CNN who reports and provides analysis on all aspects of the US national security, the military, foreign policy, and intelligence community. Jim Sciutto achieved the George Polk Award in 2007 for Television Reporting following his undercover reporting inside Myanmar. Born on 10 March 1970, Jim Sciutto was raised in New York City. He attended Regis High School and graduated from Yale University in 1992 majoring in Chinese history. The 48-year-old correspondent began his television career as the producer and moderator of the Public Broadcasting Service program, The Student Press that is a weekly public affairs talk show targeting college students. Jim became the Hong Kong correspondent for Asia Business News, covering the return of Hong Kong to China in 1997. Eventually, he joined ABC News in 1998 moving to Chicago to cover the Pentagon. It wasn’t long before Jim took the role of Senior Foreign Correspondent as ABC’s lead reporter on foreign stories and he reported for more than fifty countries along with dozens of assignments from Iran, Afghanistan, and Iran. During his time in the CNN network, Jim Sciutto’s one-hour CNN special, Targeting Terror: Inside the Intelligence War received many recognitions, especially when it got the 2016 Headliner Award for documentaries. His inside reporting in Iran during the 2009 election protests brought him an Edward R. Murphy award, and Jim was given the honor for Excellence from the Overseas Press Club for his undercover reporting from Myanmar as he defied government restrictions to spill the stories of that country’s oppressive regime. Jim made his collection like a proud reporter in CNN, but there were some bumps along the ride as he was revealed for delivering fake news scoops in a single week. One of those scoops was breaking news that falsely claimed about Trump’s failure to consult with the Director of National Intelligence, Dan Coats following the revoking of security clearance of former CIA chief, John Brennan. As a CNN chief national security correspondent, there’s no doubt that Jim enjoys a massive amount of salary. According to sources, the salary of a CNN correspondent ranges from $86,342 to $185,670, and since Jim has readily contributed to the network for a long time, his net worth can be calculated in millions. And let’s not forget about the book he wrote, Against Us: The New Face of America’s Enemies in the Muslim World, that sold many copies in a short amount of time. That inevitably brought him some considerable amount of money. The CNN reporter has been happily married to his reporter wife, Gloria Riviera since October 2006. The two work on the same platform as the CNN Network reporters, so it’s safe to say that their love story started at their workplace. They pronounced their wedding vows at the Roman Catholic Church of St. Ignatius Loyola in New York. Jim shows great affection towards his wife and the two don’t miss the chance to appear on events together showcasing their romantic air. And it wasn’t long before the couple was blessed with two sons, Tristan who’s now 9, and Caden who’s already 7. Caden’s birth, especially was quick and unexpected which led to Gloria delivering him at home. Jim even wrote the whole experience on The Daily Beast, praising his wife for being a strong woman. Jim’s family growth didn’t stop there though, as the pair welcomed their baby girl, Sinclair in July 2015. He loves and appreciates the time he spends with his family, and he doesn’t fall back to let his children know that he is constantly there for them.